When my husband and I first stepped into the mid-century ranch that would become our first home, we did so with mixed emotions: I instantly fell in love with the mid-century charm, the coziness and the reflection of my own grandparent’s home. My husband had a hard time seeing past all of the work that need to be done to make it more modern, let alone make it our own. The first sign for him that we were in the right space was the kitchen – spacious and full of potential. The clincher was the basement, but we’ll save that for another time. Look beyond the unfinished wall. Yes, that is a carpeted floor. Yes, that is mushroom contact paper. And you don’t even get to see what I believe to be the original 1963 wall oven and counter range. If you’re the type of home owner that is afraid of using a little elbow grease, I can see why this would knock this house out of the running for you. 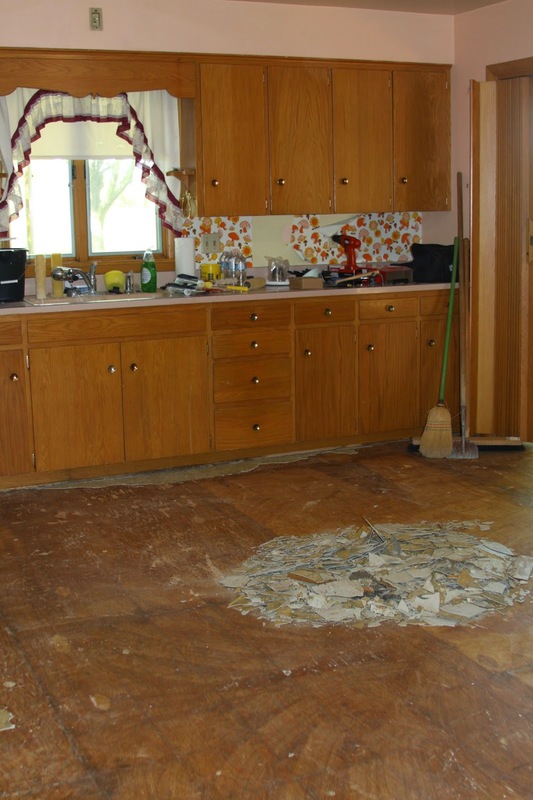 We chose to remove the floor ourselves in this case since the tile, which we later learned was asbestos, was tacked to the carpet. It didn’t come up easy and we’re hoping the short-term exposure isn’t going to cause mesothelioma. Cross your fingers for us! 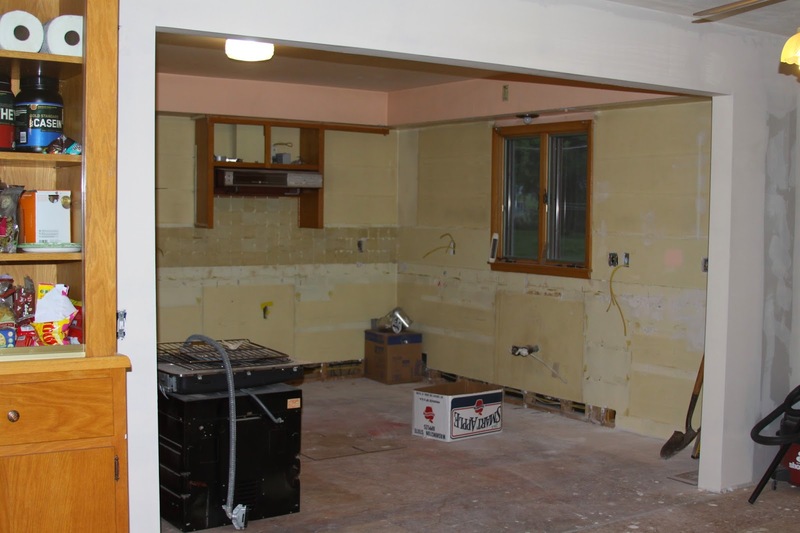 Once the floor was gone, we started on the cabinets. The cabinetry was built right into the walls, so we got to have fun with a reciprocating saw to get it down to the drywall. Salmon pink walls. Super dirty dingy walls. We had them both. More on that later. Note the wall oven in the middle of the floor. 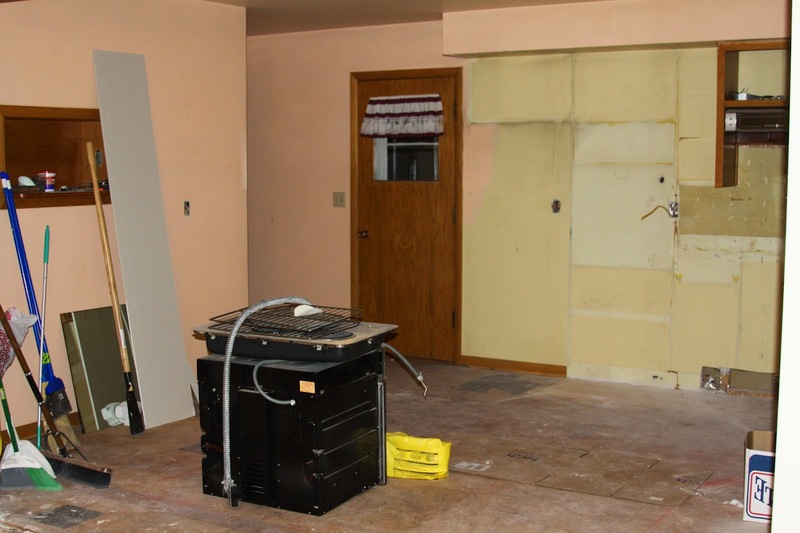 When we started to remove the appliances, we were quite surprised to discover the wall over and stove were both wired directly to the electrical box. We knew at that point we would definitely require the help of an electrician. It was time to hang our tool belts for a bit. 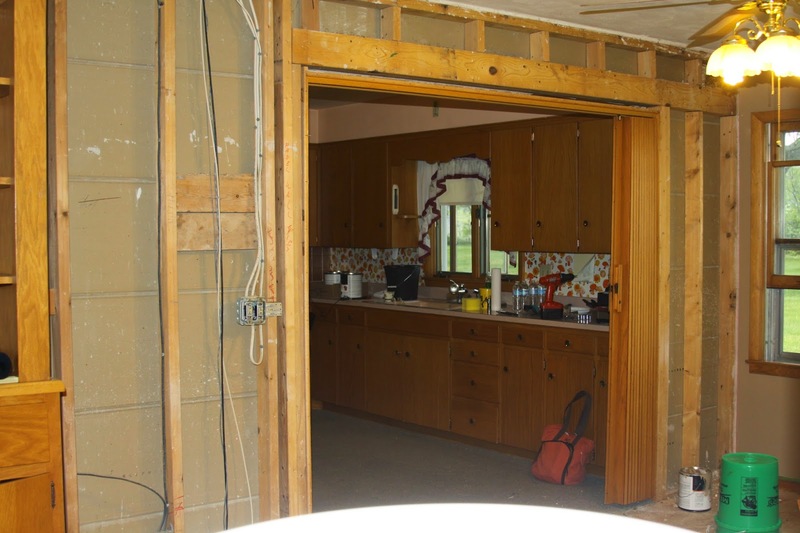 Would you ever tackle your own kitchen remodel? Let me know if the comments.